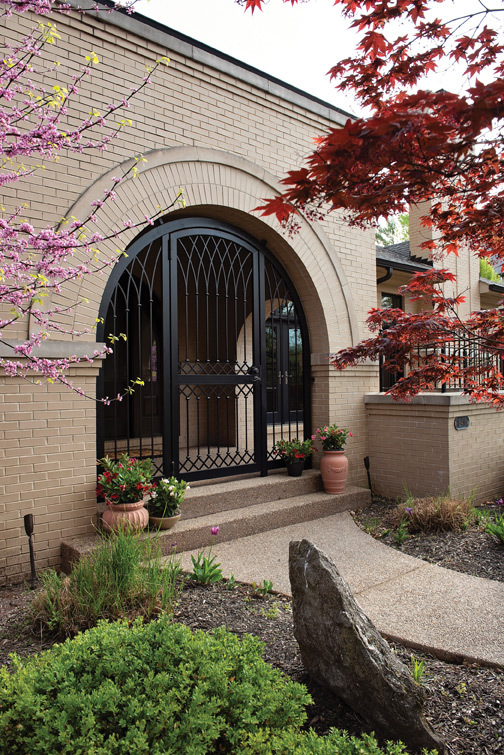 A handsome, custom-designed entrance gate created by renowned St. Louis ornamental iron company Classic Metal Craft incorporates high-tech security without sacrificing curb appeal. 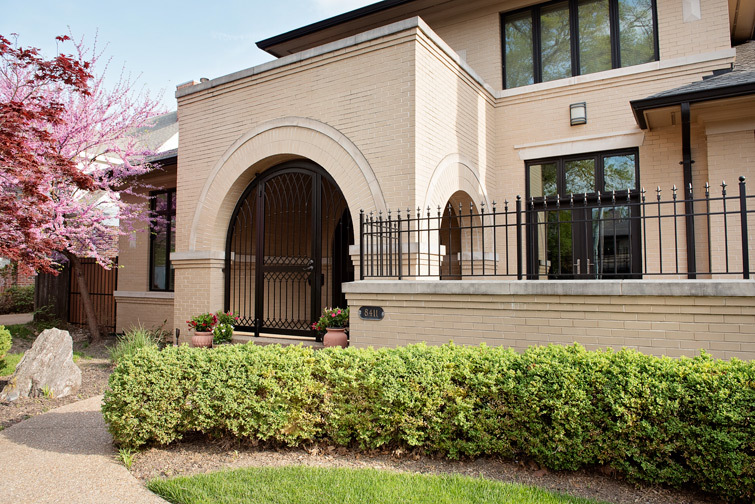 A tall order indeed, this sleek entrance gate had to incorporate all the latest technology in security but without detracting from the overall curb appeal of the home. When faced with the challenge, Peter Zadrozinski and his talented team put their expertise to work. 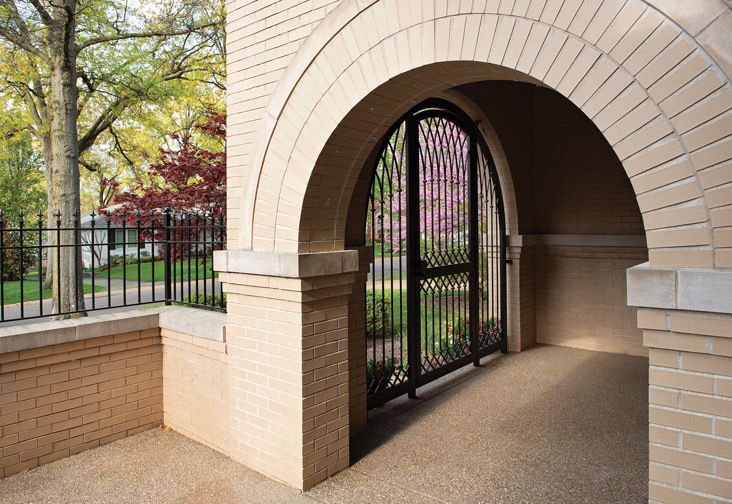 The proprietor of Classic Metal Craft, a family-owned St. Louis ornamental iron company that designs, fabricates and installs drive and pedestrian gates, interior and exterior railings, structural stairs, spiral staircases, fencing and other custom pieces, Peter was not only able to meet the needs of his clients but also exceed their expectations. After meeting with his clients, Peter and his team took several design components from work they had done previously and blended them together into a cohesive approach. They took some basic measurements and provided a hand-drawn concept design on a photo overlay of the front entrance. Once approved, they took very precise measurements and provided a scaled CAD drawing for final approval to ensure all details were explained thoroughly. Once this shop drawing was approved, the job was released for fabrication. The majority of raw materials and components wre ordered locally from suppliers and executed in-house, including the primed and painted finish. The gate was then installed in one day by Classic Metal Craft’s own installers.